My entire life I've been hearing about the dreadful expression wrinkles. You know when you smile you get wrinkles at the corners of your eyes. Famous smoker's lines over your upper lip. Lines between your eyebrows. Forehead lines... I feel sick every time when I see Justin Bieber and his forehead... Does he even realise how awful his forehead will look like in a few years to come with constantly keeping his eyebrows up? Unless of course he will start using botox or even more drastic beauty treatments. Anyway, I was prepared for all of those. At age of 33 you will expect some lines turning in to more permanent ones. But I do not smoke, my forehead naturally has a tight skin and I can't raise my eyebrows up much. So I didn't worry that much. But no one ever have said anything about danger of sleeping. A beauty sleep - what a joke. In the worst case sleeping will make your face age earlier than you would expect it. Did you know that? Have you ever think what is happening to your face while you sleep? Have you ever woken up with the red lines on your cheek, under your eyes, on your forehead ? You know the ones you get on the side on which you've been sleeping all night ? Does this ring a bell ? Did you feel worried when you saw them in the mirror ? No ? Well, you should have been! You say, that those red lines do get lighter and disappear over day. And you are right. 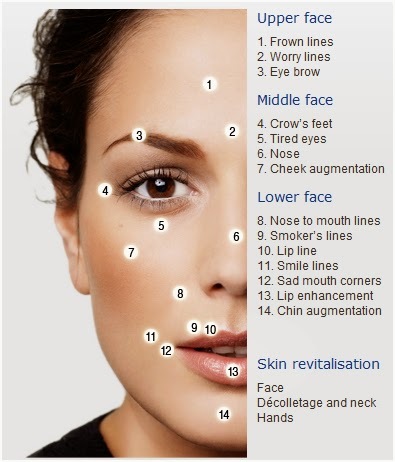 However with time those red lines will turn in to permanent wrinkles. Does this sound more worrying now ? You can actually become a Sherlock Holmes and determine on which side person likes to sleep only by looking at his or her face. As sleeping wrinkles do not lie. So why no one ever speak about them ? No one has ever told me, that the WAY I sleep will literally affect my appearance! My realizing started with a normal waking up. I went to the bathroom the other day and looked at the mirror. I saw long red line on my cheek under my left eye. I've seen this same line many times before and knew it will go away and it did. But when I was washing my face that evening I looked more closely and was terrified! I saw that same line still there! I could barely see it, but it was clearly turning in to a wrinkle! How did that happen ? This wasn't something I was prepared for! As a true member of a google generation I put computer on and write the words I never thought I would write " Wrinkles from sleeping ". I did not expect to get anything from this and was both delighted and terrified when I saw the result of my search. Yes I wasn't wrong, there was such thing as sleeping wrinkles. And I am having my first one. Sleep wrinkles are created and reinforced when the face is compressed against a pillow or bed surface in side or stomach sleeping positions during sleep. They appear in predictable locations due to the underlying superficial musculoaponeurotic system (SMAS), and are usually distinct from wrinkles of facial expression. 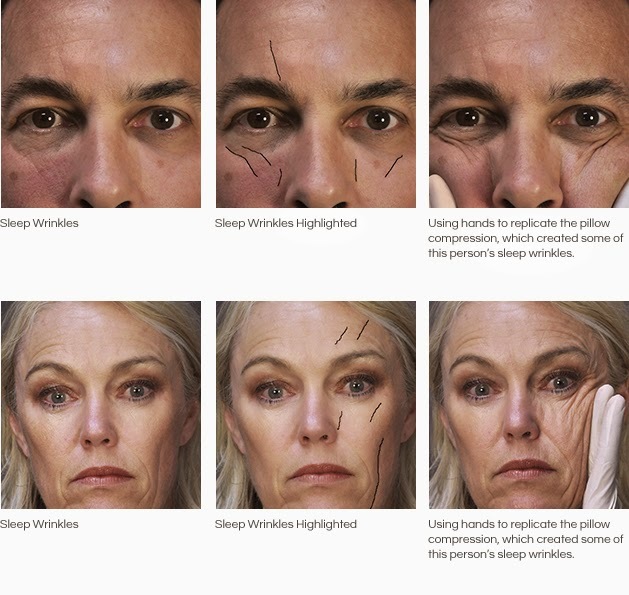 As with wrinkles of facial expression, sleep wrinkles can deepen and become permanent over time, unless the habitual sleeping positions which cause the wrinkles are altered. Lucily there are few things you can do to prevent a sleeping wrinkles. SLEEP ON YOUR BACK. This is the most effective way to keep yourself from getting sleeping wrinkles. When you sleep on your back, your face is fully rested and won't get those dreadful lines. CHANGE YOUR PILLOW COWERS. Pillows made of satin or high thread counts are a worthy investment when it comes to wrinkle reduction. Those will minimize the damage to your face if you turn to your side in your sleep. BUY A WRINKLE FREE PILLOW. 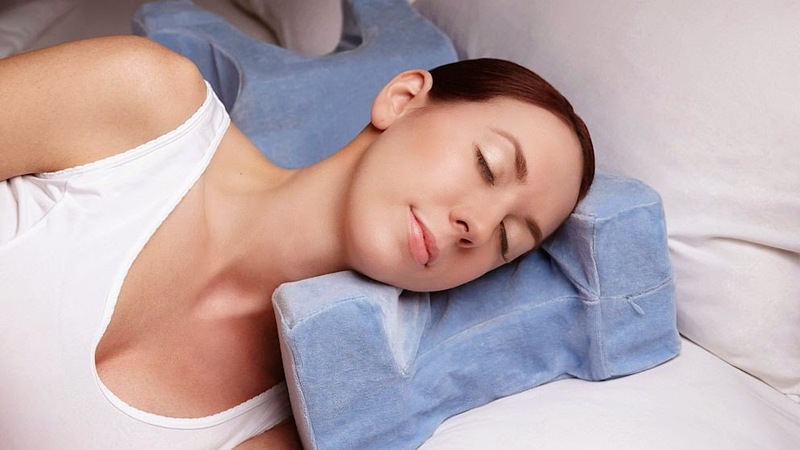 If you are not ready to start sleeping on your back only, then a wrinkle free pillow could be your way to go. A wrinkle free pillows are designed to keep your face from touching the pillow surface while still giving your head and neck a needed support. So here you go. Smiling wasn't the worst thing you can do to your face after all. Next on my list are 1. Learning to sleep on my back. There is first night behind with me trying to force myself to not turn on my side ( will write all about it ) and 2. find a way to get rid of already existing wrinkle lines that already there. I made a comment but it didn't publish. Rats! I'll do it again. This is an interesting topic, K. I use and recommend satin pillow cases. I also sleep on my back a lot of the time and was lucky to be born with fairly non-wrinkle skin. I had never seen those wrinkle free pillows. Cool idea. Why not start with that so that you don't have to learn to sleep on your back? I tried to make a comment too but it poofed. I use ScarAway Silicone Scar Treatment Sheets and cut them down to the size I need and stick those on my wrinkles at night. I COMPLETELY REMOVED some sleep wrinkles I had under my eyes. They are gone. I wash the silicone sheets each morning and stick them to the shelf of my medicine cabinet to air dry. If they need a bit more "stick" I use Tac Gel on them and I can use the same pad for an entire week. I have a "subscribe and save" for the Silicon Sheets on Amazon. If you try these on a wrinkle, you will see the very next morning that your wrinkle is significantly "softened". It will eventually go completely away.